Notes: Before the Portland branch opened the LSWR wanted a separate station to be built at Weymouth to avoid trains having to reverse into Weymouth station as the branch junction was to the north of Weymouth station and faced Dorchester. The GWR was satisfied that adequate facilities were available at Weymouth for branch trains, and the Weymouth & Portland Railway did not want the added expense of having to provide a station on the branch, so no station was built at this time. 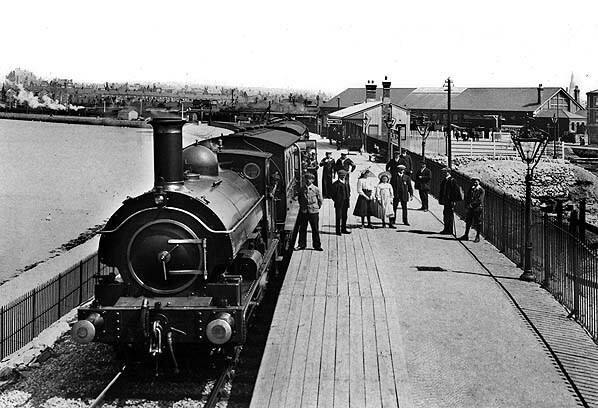 Weymouth station was always very busy, especially during the summer so when it became necessary to replace the original timber viaduct over the Backwater (now called Radipole Lake) it was decided that a branch station should now be provided on land reclaimed from the Backwater between the branch and the harbour tramway. The new station and the approach to the new viaduct were slightly to the west of the original alignment. Construction of the new viaduct started in 1907 and was completed in January 1909, being brought into use on Sunday 7 February. At the Weymouth end the remains of the old viaduct were quickly removed as the site was needed for the approach road for the new station which was now nearing completion. The station was given the name Melcombe Regis, a settlement on the north shore of Weymouth Harbour, and it opened on 30 May 1909, with all branch trains now starting and terminating at the station. This greatly improved the punctuality of branch services. 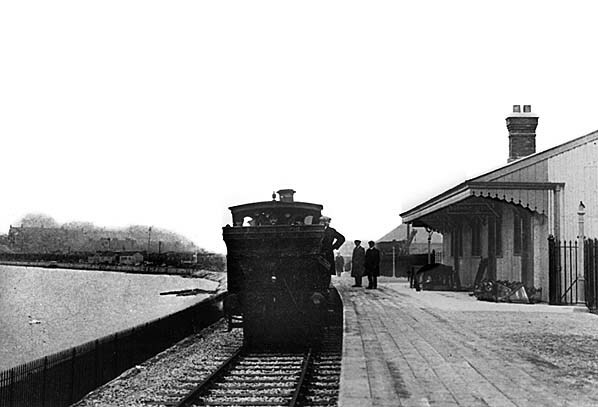 The station consisted of a single 400ft timber platform on the down side of the line. The single-storey station building was of timber construction faced with corrugated iron. The roof extended over the platform to form a narrow timber canopy. The was wholly inadequate for a station in such an exposed position on the edge of Radipole Lake, and the canopy was later replaced with a much larger pitched structure and an iron screen was provided opposite the building for additional weather production. The platform was rebuilt with stone blocks in the late 1930s. Although primarily intended for use by Portland branch trains the station was sometimes used by other services running into Weymouth during busy periods, including trains from Abbotsbury. 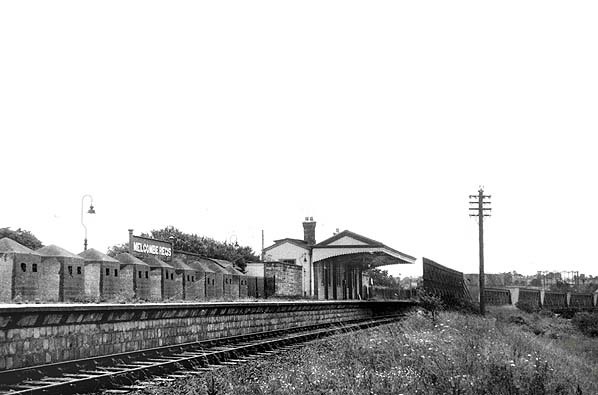 After closure in 1952 the station continued to see passenger uses in summer months as an overflow platform for Weymouth. Between summer 1955 and October 1956 the station approach road was used as a temporary bus garage while Southern National's garage at Weymouth was rebuilt after war damage. In the mid 1950s there were plans to completely rebuild Weymouth station with Melcombe Regis being used as a relief platform while the work was being carried out. The station buildings were repainted and the platform gas lighting was brought back into use in 1956. 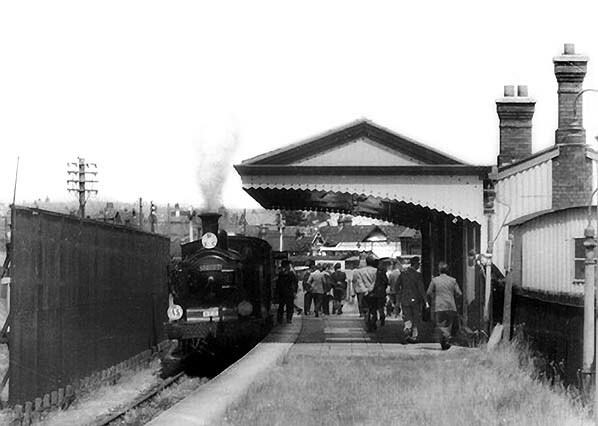 The last regular use of the station as a relief platform was on 12 September 1959 although there was occasional use after this date. In 1962 a new provender store to supply the railway’s cross-channel ferries was built on the station forecourt; this was completed in time for the 1963 summer season. The station building was demolished in February 1965 and a repair and maintenance workshop for goods yard lorries was built on the site. The north end of the platform was demolished in 1985 during the construction of a roundabout (now a road junction) at the west end of King Street; the provender store and workshop were also demolished. During the work sections of the original timber viaduct were uncovered. The remainder of the platform was still intact in 1999 but was cleared away during the construction of a retirement and sheltered housing estate called Swannery Court in 2000. The London & South Western Railway opened their main line from London to Southampton in 1839, and the final scheme was for a line from the LSWR at Southampton via Ringwood and Wimborne to a terminus at Dorchester with a branch to Poole (Bournemouth was not recognised as a town until 1870). Of these schemes, only the Wilts, Somerset & Weymouth Railway (authorised 30 June 1845) and the Southampton & Dorchester Railway (authorised 21 July 1845) were built. The opening day failed to attract the expected crowds owing to insufficient notice and passed without ceremony. The usual celebrations took place a week later on 27 January which was declared a local public holiday. The Isle of Portland is technically not an island as it is attached to the mainland by a remarkable shingle bank known as Chesil Beach which parts company from the mainland near Abbotsbury and meets the ‘Isle’ after eight miles. A tidal lagoon known as the Fleet is on the landward side of Chesil Beach. The landscape of Portland is distinctive, heavily scarred by centuries of quarrying, and with straggling villages built largely to house the quarrymen and their families. The only town on the Isle is Fortuneswell, but the station at the northern edge of the town was to be known as ‘Portland’. The excellent building stone from Portland’s quarries has been exported the world over. Sir Christopher Wren, the architect and Member of Parliament for Weymouth, used six million tons of white Portland limestone to rebuild destroyed parts of London – most notably St Paul’s Cathedral - after the Great Fire of London of 1666. It was again used to help rebuild London after WWII and features in many landmark buildings across the country. Portland Harbour, between Portland and Weymouth, is one of the largest man-made harbours in the world. It was created for the Royal Navy by the building of stone breakwaters between 1848 and 1905. The Royal Navy Dockyard played prominent roles during the First and Second World Wars; ships of the Royal Navy and NATO countries exercised in its waters until 1995. During the nineteenth century, two independent railway networks the ‘Merchants’ and the ’Admiralty’ were laid to transport stone from the quarries. The Merchants’ Railway was the earliest—it opened in 1826 (one year after the Stockton & Darlington Railway) and ran from the quarries at the north of Tophill to a pier at Castletown (sometimes spelt Castleton), from where the Portland stone was shipped around the country. The only means of transporting the stone at that time was by sea. As soon as the railway reached Weymouth schemes evolved for a line from Weymouth to Portland. The first of these came in November 1857 but received little support and was quickly dropped. There were a further two proposals in 1861, one from a local consortium, and eventually both groups joined forces with a meeting being held in Weymouth on 7 October 1861 to thrash out the best route for the proposed Weymouth & Portland Railway, which was also to include two horse-drawn tramways: one to Weymouth Quay and the other from Portland to the Merchants’ Railway at Castletown. The GWR supported the scheme and, although the Weymouth harbour tramway also received generous local support, there was less enthusiasm for the Portland railway with some people concerned that any future development of a port at Portland might, in time, become a competitor to Weymouth. As the two lines were embodied in the same scheme this opposition came to nothing, and a Bill was quickly put before Parliament for a single mixed gauge line which would be operated jointly by the GWR & LSWR. The Weymouth & Portland Railway Act received the Royal Assent on 30 June 1862. Sufficient land was purchased to allow for the track to be doubled at a future date, and construction started in December 1862 with the intention of completing the line by January 1864. The contractor was John Aird & Company, one of the leading British civil engineering businesses based in London: the company had relocated Crystal Palace to Sydenham in 1851. Their expected completion date was somewhat optimistic, however. By early October 1863 construction was progressing well. The Backwater viaduct was almost complete, and the second viaduct over the Fleet at Ferrybridge was half built. The only other major engineering features - a cut-and-cover tunnel taking the line under Wyke Road at Rodwell and the 700ft-long Marsh embankment which took the line over a former inlet of the harbour - were progressing well. The Marsh embankment was completed by the end of February 1864 with the first train running over the entire length of the line on 5 May. This consisted of a broad gauge engine which hauled standard gauge wagons conveying company personnel. Permission to open the line was refused and, after some remedial work had been completed, a second inspection took place on 6 August 1864. The inspector noted some strengthening of the viaducts but many of the other necessary improvements had not been carried out, including the signalling arrangements at Portland Junction which were still wholly inadequate; once again the inspector refused to sanction the opening of the line. It was soon clear that the GWR, LSWR and the local company were in complete disagreement about the provision of passenger facilities at Weymouth. The Weymouth & Portland board was of the opinion that it was not obliged to provide a separate station on the new line, while the LSWR did want a separate branch station to be paid for by the W&P. The GWR was happy to use its existing station but demanded payment which was resisted by the W&P board. Disagreements continued for over a year while the line lay idle. Eventually the dispute went to arbitration. The ruling was that the W&P should use the existing station, for which they should pay the GWR £2,600; they were also ordered to pay the GWR for land and improvements to the junction between the branch and the main line in order to pass the next inspection. Despite this ruling, the three companies were still unable to agree over the exact detail of the new arrangements. The Weymouth Quay tramway, which was now complete and ready for opening with horse-drawn traffic, was unable to open as it was an integral part of the Portland line and, for legal reasons, could not be opened before the branch. The three parties eventually settled their longstanding dispute, and the Board of Trade sanctioned the opening of the line. Goods traffic started on 9 October 1865, and the Portland branch finally opened to passenger traffic with little ceremony on Monday 16 October. There was ambitious provision of 11 trains in each direction on weekdays and six on Sundays. The company’s initial optimism did not last long, and within a few weeks three of the weekday trains and one of the Sunday trains were withdrawn. Initially the passenger service was run by the LSWR. A year after the opening of the line there was a public petition for the provision of an intermediate station at Rodwell. This was approved, and work started in January 1870 with the station opening on 1 July. It was clear, even before the Portland branch opened, that the days of broad gauge lines were numbered and the Wilts, Somerset & Weymouth line was converted to standard gauge between 18 and 22 June 1874. Both the Portland branch and the Weymouth Quay tramway were mixed gauge, so there was no hurry to remove the third track as this operation would cause little disruption to the service. After the end of broad gauge the LSWR and GWR worked the line for alternate periods of twelve months. In November 1866 another line, the Easton & Church Hope, on the other side of the Isle of Portland, was proposed. Initially it was to link Portland's quarries to the sea. The Easton & Church Hope Railway Act received Royal Assent on 25 July 1867. Despite this Act, no work was ever started; the powers eventually lapsed in 1872, and the line lay dormant for eleven years. In the meantime an Admiralty Railway was built from the Weymouth & Portland line at Portland to a pier on the new Admiralty Breakwater, mainly to supply coal to ships. The Easton & Church Hope project was revived with hopes of running powers over this line, but although construction was authorised in 1884, none was undertaken until 1888. When it did start, the work involved blasting through 3½ miles of solid rock in a task taking 12 years and a number of parliamentary extensions. A delay caused by the need to bring the Admiralty stretch up to passenger standard followed. On 5 August 1897 the GWR and LSWR reached an agreement with the ECHR requiring the local company to provide a new station at Portland, adjacent to the existing station but on a new alignment and, once complete, the new line would be operated and staffed by the joint companies. Easton station was completed in 1900 while construction of the new station at Portland was underway. The ECH line was inspected by Lt-Col Yorke for the Board of Trade on 3 July 1900. Although he considered the Easton line acceptable the Admiralty line over which trains would have to pass was not adequate for passenger use. In his report he stated, ‘The line is not sufficiently complete to use, and therefore I am unable to recommend its opening’. As the Board of Trade sanction was required only for passenger traffic the company decided to open the line to goods traffic on 1 October 1900 in order to generate much-needed revenue. After a few weeks there had been little stone traffic over the line with no sign of future improvement. After a visit by representatives of the GWR and LSWR they concluded that the reason for lack of stone traffic was twofold: the loading depots were not close enough to the quarries and the rates being charged were too high. Before the ECHR was built there were already adequate means of transport for the stone. The Merchants’ Railway ran directly into many of the quarries whilst others were served by traction engines which hauled stone to a loading point on the Merchants’ Railway, or directly to Barness’ yard alongside Portland station. At that time the Admiralty terminated its maintenance agreement with the GWR and LSWR, forcing the E&CHR to carry out the work itself. With less than the expected revenue the company had run out of money, and two of its directors were appointed as receivers. In order to save the company it was important to get the passenger service running as quickly as possible which would mean all the improvements required by Lt-Col Yorke would have to be completed. Lt-Col Yorke returned on 19 March 1902 and found that once again the work had not been done to his satisfaction, and he returned to London declining a lunch that had been arranged for him. While the new station at Portland was under construction, a temporary timber platform was built on the curve between Portland station and Castletown Road bridge. This was completed and, once again, Lt-Col returned on 14 August 1902. Although he was not happy with a platform on such a sharp curve he was prepared to accept it as it was only a temporary structure, although he was highly critical that the new station had not yet been completed. As other required improvements had also not been implemented he again refused to recommend the opening of the line, returning for a fourth and final time on 14 August 1902. At last he was prepared to sanction the opening of the line for passenger traffic, and the first train ran on 1 September 1902. 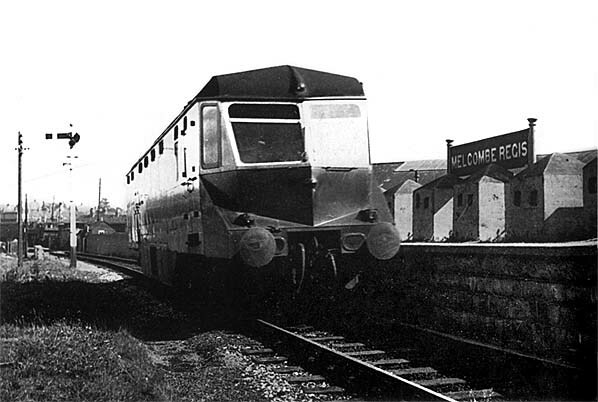 The physical connection between the Weymouth & Portland line and the ECHR had no signalling and was still considered part of a siding to Castletown, so through traffic was not permitted, with passengers having to change at Portland and walk to the temporary platform. Despite these inconvenient arrangements 551 passengers travelled over the line on the first day but bookings quickly dropped on the line that had taken over 35 years and nine Acts of Parliament to build. Although the line was still owned by the three original companies - the Weymouth & Portland, the Easton & Church Hope, and the Admiralty railways - the entire route between Weymouth and Easton was now worked jointly by the GWR and LSWR, and the line would continue in the same ‘make do and mend’ fashion until Nationalisation. In 1903 a new station at Wyke Regis was announced to serve the growing village around Whitehead’s factory which had opened in 1891 and was now employing a considerable local workforce. No construction took place, which is surprising as the factory was sited next to the line and had a siding running into it. Work on the new station at Portland was still progressing, albeit very slowly. Goods traffic on the Easton line remained disappointing with two trains a day, later reduced to one, as were passenger receipts from the four daily trains. These were inconveniently timed for commuters from Easton with the first train of the day at 9.05am. By 1905 the passenger service had been cut back to three daily trains with a late evening service on Wednesdays and Saturdays. There were public demands for a connecting train for the afternoon 3.25 service from Portland to Weymouth. The Easton & Church Hope secretary pointed out that the line was not paying its way, and if people continued to press for an improvement to the service it would either be cut back further or withdrawn altogether! The new Portland station finally opened on 7 May 1905, and the old terminus was retained as a goods depot. Following the success of rail-motor services introduced between Weymouth and Dorchester on 1 May 1905, the GWR announced in September that it would be launching an hourly rail-motor service between Weymouth and Portland at the start of 1906. This was later revised to include Easton, but the service failed to materialise. In May 1906 the GWR outlined proposals to replace the weakened timber viaduct over the Backwater and, at the same time, build a separate station for the sole use of branch trains. This was to be constructed on land reclaimed from the Backwater. Work on the new five-span lattice girder bridge started in September 1907 and was completed in January 1909. Once again Lt-Col Yorke carried out the inspection for the Board of Trade; it was quickly passed fit for use with the first train running over it on 7 February. Removal of the old viaduct was quickly carried out as the site at the Weymouth end was required for the approach road for the new station which was nearing completion. The station opened on 30 May 1909 and, although adjacent to the goods yard at Weymouth, it was given the name Melcombe Regis. From that date, all branch trains ran to and from Melcombe Regis, removing the awkward reversal into Weymouth. In June 1909 Wyke Regis finally received its long awaited halt, and a second halt was opened at Westham on the north side of the new viaduct, both being provided as part of a GWR plan to fight road competition. After being inspected by Col Von Donop for the Board of Trade they were passed fit for use. They opened on 1 July with the introduction of a greatly improved service between Weymouth and Portland with 13 trains in each direction and seven on Sundays, supplemented by nine rail-motors on weekdays only. Initially the two new halts were served only by the rail-motors but from 1913 Sunday trains also called. With the outbreak of war on 3 August 1914 all railways came under Government control two days later. The Portland branch would soon be playing an important part in the war effort bringing coal for the ships in Portland Harbour. From 1915 casualties began landing in Portland from where special ambulance trains would take them to hospitals around the country. Ambulance trains also brought casualties from the Grand Fleet based at Scapa Flow to the Royal Naval Hospital at Portland. While many branch lines saw a rundown of services during the war the Portland branch maintained a good service, with more people being employed at the dockyard loading munitions and carrying out repairs to damaged ships. In 1917 there were still 20 outward journeys to Portland and 19 return journeys with four of the trains running on to Easton. In the later years of the war a large quantity of stone waste was transported by rail to Southampton where a train ferry terminal was under construction. The Railways Act 1921, also known as the Grouping Act, was intended to stem the losses being made by many of the country’s 120 railway companies, to move the railways away from internal competition, and to retain some of the benefits which the country had derived from a Government-controlled railway during and after the Great War. The Weymouth & Portland and the Easton & Church Hope companies were not included in the grouping, but of the joint leasing companies only the GWR retained its identity as one of the 'Big Four' whilst the LSWR became part of the Southern Railway. Apart from the change of name, joint operation continued as before and little on the branch changed. I n 1922 there were 18 daily trains in each direction with five extended to Easton. Once again these trains were badly timed with the first train leaving Easton at 9.25am ensuring that the line could not be used by commuters. This problem was finally resolved in the summer of 1924 when an early morning train brought the daily tally at this end of the branch to six. They were most concerned about the Portland - Easton line where a traffic census made in March 1927 showed that this part of the line carried only 800 passengers a week. The first daily service carried about 60 with around the same number returning on the 4.30pm; many of these were pupils attending Weymouth Grammar School. Most of the other trains (Monday - Friday) carried about ten passengers. It was suggested that savings could be made by closing the Easton section to passenger traffic and replacing the service with a railway-owned bus service. Special passenger excursions could still be run into Easton in holiday periods when there was likely to be a greater demand. There were no recommendations about the Weymouth - Portland line other than a reduction in the Sunday service. None of the cost saving measures was implemented. In 1931 the joint operation of the line ceased with the Southern Railway taking sole operation of the line, although the three original companies retained ownership. For many years Portland had good bus services, and in an attempt to counter increased competition a third halt between Rodwell and Wyke Regis was provided for the benefit of tourists visiting Henry VIII's castle: Sandsfoot Castle Halt opened on 1 August 1932. In 1939 war with Germany was once again approaching. As tension increased the Emergency Powers (Defence) Act received the Royal Assent on 24 August 1939, a week before Germany invaded Poland. This once again brought the railways under state control. A plan for mass evacuation of the cities was put in place in September 1939. 774 evacuees from London arrived in Portland by train, but they were quickly moved elsewhere once it was realised that the Naval facilities at Portland would be a major target! In fact many of the likely targets for air attack were sited close to the Portland branch: these included Weymouth with its commercial harbour and ship repair yards, the naval harbour and dockyard at Portland and Whitehead's torpedo factory at Wyke Regis. As in the Great War, the railway was to play a vital role in the war effort carrying naval stores and troops. The passenger service on the line was initially drastically cut, but by January 1940 most services were reinstated with 21 trains in each direction, seven of which were extended to Easton. On Sunday 11 trains ran, but all of them terminated at Portland. Later in the war the service was cut back to 14 a day. A number of bombs fell on the railway during the war. The first came on 11 August 1940 during the Battle of Britain; the Portland signal box took a direct hit from a German bomber, killing the signalman. 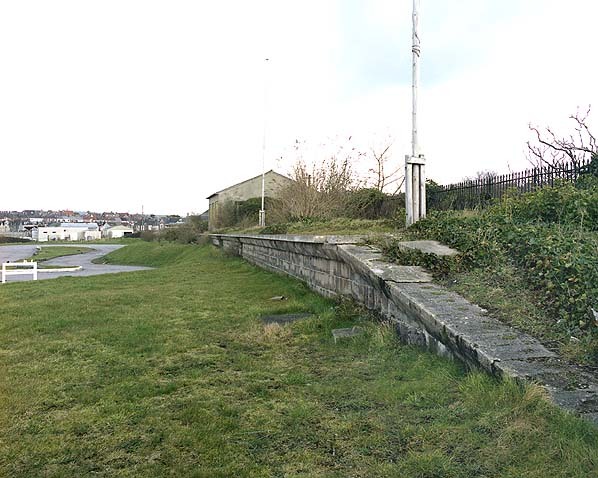 As the war progressed a number of guns manned by the Home Guard were emplaced along the railway line to defend strategic locations including the Marsh embankment, Ferrybridge and Whitehead’s torpedo factory. On 15 April 1941 the main station building at Rodwell was destroyed and one member of staff killed during an air raid. After that raid, trains stopped at Rodwell during daylight hours only owing to blackout restrictions which remained in force until late 1944. Passenger services were withdrawn from the Easton section of the line on 11 November 1940 but were reinstated during the summer months from 1941 to 1944. The railway had a part to play in the build up to D-Day and by mid March 1944 it was in use 24 hours a day. On 6 June 1944 418,585 American troops and 144,093 vehicles were embarked from Portland for the Normandy beaches. After D-Day the traffic started to flow in reverse, a transit camp for prisoners-of-war being set up on the Royal Naval sports ground alongside Portland station. From there POWs were taken to Devizes by special trains. From 1 January 1945 a full passenger service on the Easton section of the line was reinstated with three trains a day, later increased to four. Although the war was over, railways remained under government until they were nationalised as part of the July 1947 Transport Act. This brought an end to the private ownership of the line. From 1 January 1948 the Portland line came under the control of the Southern Region of British Railways. The Weymouth & Portland Railway was wound up in August 1948. As with many branch lines the Portland branch had, for many years, been experiencing competition from buses. These generally provided a more convenient service, taking passengers closer to their destination. By the 1950s there was a bus every 10 minutes between Weymouth and Portland and every 20 minutes to Easton; the railway had no chance of competing. 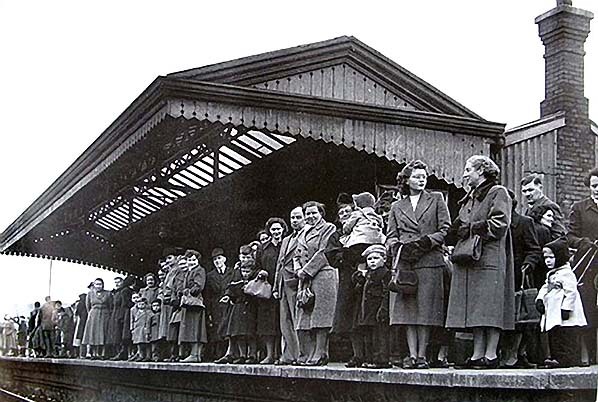 By this time many of the regular passengers were children going to Weymouth Grammar School, mothers with prams, and service personnel who were travelling beyond Weymouth. It therefore came as no surprise when closure of the Portland line to passengers was proposed in September 1950. 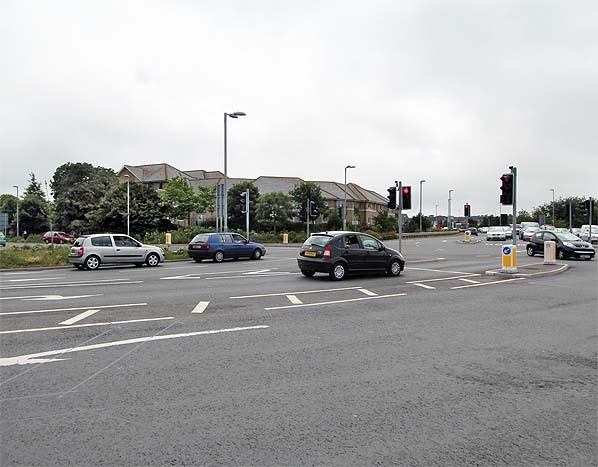 Portland and Weymouth councils both sent representatives to the Transport Users’ Consultative Committee early in November to object to the closure, but the committee was satisfied with the alternative travel arrangements already in place or which could be implemented. In 1950 British Railways had made a loss of £14,000 on the passenger service but, despite appeals from the two councils, it was announced that the line would close to passengers on 3 March 1952. There was to be no stay of execution as the inevitable was accepted, and many local people took an opportunity to travel on the railway for the last time with 2,884 passengers travelling during the last week, 858 of them on Saturday 1 March. The 2.25pm train from Melcombe Regis to Easton, which usually consisted of a two-coach set, was replaced with six coaches of main line stock double-headed by two tank engines. The final passenger train for Portland left Melcombe Regis just before midnight on Sunday 2 March without ceremony and with only six passengers! There was never any suggestion that the line should close to goods traffic as, at this time, it was still very profitable. There were still regular passenger trains carrying military personnel to Portland Dockyard, special works excursions and railtours. In February 1954 Weymouth Borough Council approached the Transport Users’ Consultative Committee to discuss the possibility of reopening the branch; nothing came of it. Although officially closed, Melcombe Regis did see some passenger traffic as an overflow platform for Weymouth during busy periods. By the early 1960s goods traffic was in decline. During 1962 11,445 tons of goods were dispatched from Portland, out of which total 9,800 tons was stone, whilst of the 8,721 tons received at Portland. 6,177 were coal and coke. In 1963 the annual earnings of the branch amounted to £6,300, but operating expenses totalled £12,500 with a further £92,450 required for maintaining the line during the next five years; this included the cost of replacing the Fleet viaduct. It therefore came as no surprise when closure was proposed in November 1964. Early in 1965 a freight concentration scheme for Weymouth was announced. This was in line with the Beeching plan which favoured large goods depots from where road deliveries would be made to the surrounding towns. As part of this scheme, complete closure of the Portland branch was scheduled for 1 February, although this was put back to allow work on the additional facilities at Weymouth goods depot to be completed. With closure imminent, the South & West Railway Society of Weymouth arranged for three specials to run over the line on 27 March to give local people and enthusiasts a last opportunity to travel on the railway. 1,056 tickets were sold and the three trains were packed. The official closure date was 5 April 1965, but a number of trains used the line after this date to collect wagons and tools, and the last train to run the full length of the line was on Friday 9 April. The viaduct over the Backwater was then used to stable condemned wagons awaiting disposal. The last of these was removed on 10 January 1966, and on 26 February a stop block was installed at the junction bringing complete closure to the line. Track-lifting started in August 1966, and by early 1967 all the track had been removed between Easton and the junction with the line into the Dockyard. With the removal of all the sidings this just left a single line running between Weymouth and the Dockyard. This was kept in place at the request of the Ministry of Transport pending possible need by the Admiralty, but it proved not to be required, and by the end of 1969 all the track had been lifted back to Westham Halt. 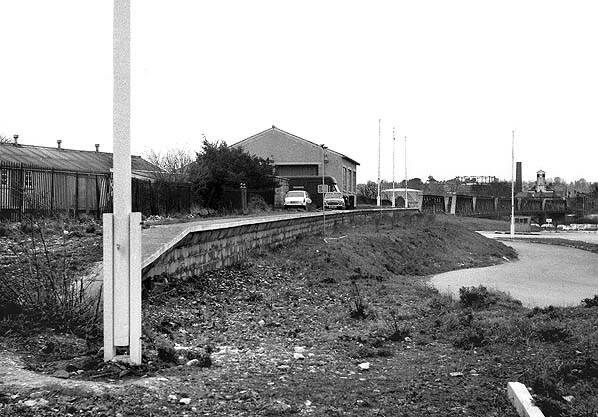 The trackbed between Ferrybridge and Melcombe Regis was sold to Portland Borough Council on 19 November 1974, and the same month work started on demolishing the viaduct over the Backwater. In the 1970s Dorset County Council proposed that a section of the route between Melcombe Regis and Ferrybridge should be used for a relief road, but in March 1978 Weymouth & Portland Borough Counci1 opposed the plan. During 1980 plans for the construction of a miniature railway along this section were put forward. Had it been built, this line would have attempted to provide an alternative form of public transport along the former railway route, similar to the miniature trams running on the trackbed of the former Seaton branch in Devon. The Weymouth plan was soon withdrawn, and a revised one was later rejected by the Borough Council. Through the 1980s the old railway line grew in popularity with local residents as an informal footpath between Abbotsbury Road and Ferrybridge. In 1997 a proposal for a cycleway and footpath along the former railway line was included in the Weymouth & Portland Local Plan. After being subject to full public and statutory consultation, the Plan was formally adopted by the Borough Council, and work to develop the trail commenced. The partners included Weymouth & Portland Borough Council, Dorset County Council and West Weymouth Conservation Society working with South West of England Regional Development Agency. 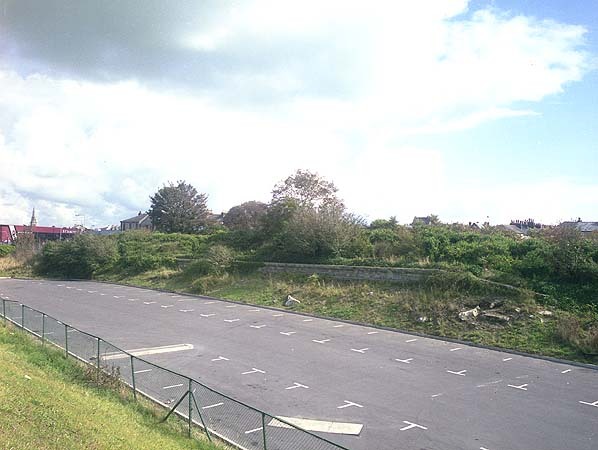 Work commenced in 1999 and a cycle/walkway was constructed with a tarmac surface and access points to existing roads. The ‘Rodwell Trail’ was officially opened in April 2000. In June 2000 The Weymouth & Portland Environmental Partnership was awarded a Civic Society Special Award 2000 for the creation of the trail. Between 2003 and 2004 the first meetings of Friends of Rodwell Trail were held, and groups of willing volunteers undertook clearance of overgrown vegetation and litter-picking. Weymouth & Portland Borough Council and West Weymouth Conservation Society funded the purchase and installation of litter and dog bins. Although they did not possess them when they were open, reproduction British Railways totem signs have been mounted on the platforms of the three halts. Tickets from Michael Stewart except 0070 David Pearson. Route map drawn by Alan Young, timetables from Chris Totty. 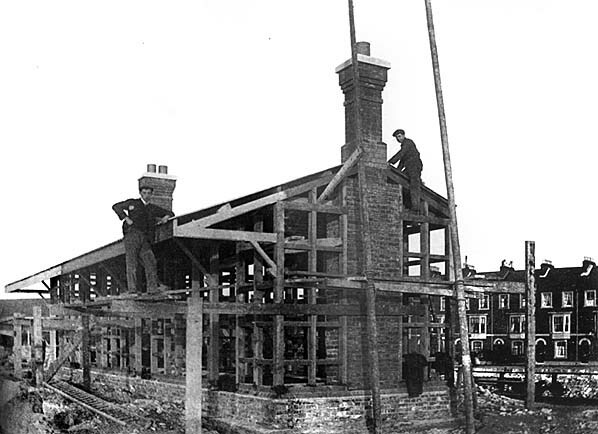 Melcombe Regis station under construction in 1908. 1929 1:2,500 OS map shows Melcombe Regis station and the new viaduct. The station is built entirely on reclaimed land. Melcombe Regis station looking north shortly before opening. The original narrow canopy is seen, This was totally inadequate for such an exposed position facing the huge expanse of Radipole Lake, seen on the left. The canopy was later replaced with a much wider structure, and an iron screen opposite the building provided additional weather protection. The timber platform was replaced in the late 1930s. Melcombe Regis station looking north on the opening day. 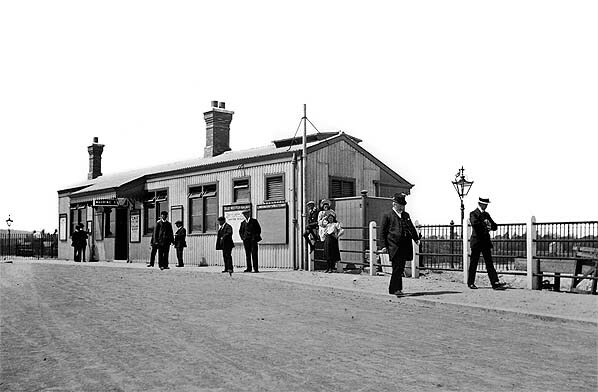 Melcombe Regis station forecourt c1910. GWR diesel railcars were never used on the Portland branch, but in busy periods some trains from Abbotsbury terminated at Melcombe Regis instead of Weymouth, as seen here in this view c1950. Note the anti-tank blocks at the back of the platform. Melcombe Regis station on Saturday 1 March 1952, waiting for the 2.25pm train from Melcombe Regis - Easton which usually consisted of a two-coach set but on this day was replaced by six coaches of main line stock double-headed by two tank engines. Although closed to passengers in 1952 Melcombe Regis saw regular passenger use not only as a relief station form Weymouth but also as a stop on numerous railtours. This is the REC 'South Dorset' railtour from Bournemouth West in 7 June 1958. 30107 started life on the LSWR after being built at Nine Elms works in 1905. Originally called ‘Motor Tanks’ and classified X14, these push-pull fitted locos were absorbed into the M7 class then renumbered by BR with the ‘30’ prefix. Withdrawn in May 1964 from 71B, Bournemouth shed, it was cut up for scrap five months later. Note the cast iron screen opposite the station building, which was placed there for additional weather protection. blocks at the back of the platform. 3737 was built at GWR's Swindon Works in 1937 and entered service in the September. A Collett-designed 57XX Pannier Tank, it had a service life of exactly 27 years, when it was withdrawn from 85B, Gloucester Horton Road, in September 1964 and scrapped during April 1965. 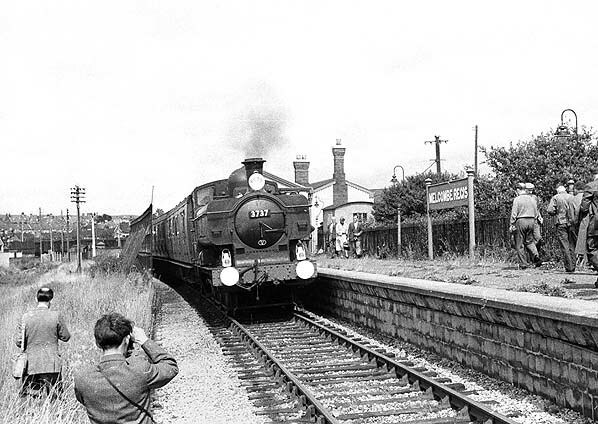 It is seen working a leg of the RCTS, (London Branch) 'The Greyhound' railtour from Melcombe Regis to Easton and return on 14 August 1960, with three Bulleid coaches. Melcombe Regis looking south c1967. 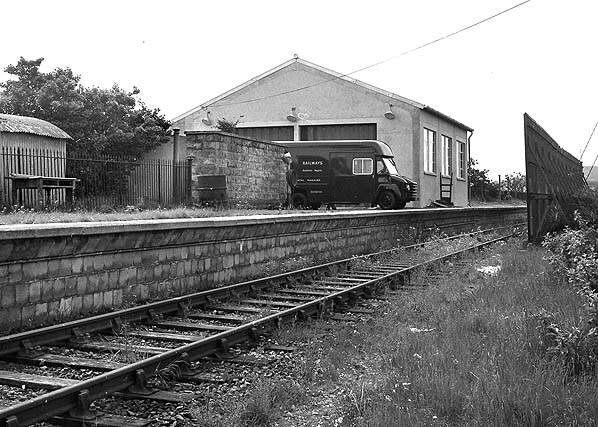 The station building was demolished in 1965 when the railway workshop, seen here, was built. The track was lifted in 1970. Melcombe Regis station looking south in April 1974. The provender store is seen on the left. Melcombe Regis station looking north in March 1983. Melcombe Regis station in September 1993 seen from the road leading to the Swannery bridge. The site of Melcombe Regis station looking south in July 2013. The road junction at the end of Kings Street occupies the sites of northern end of the platform and the approach road. The remainder of the platform was demolished when Swannery Court, seen in the background, was built in 2000.